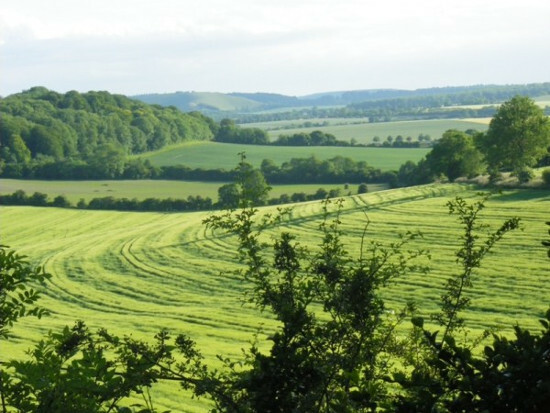 The White Horse Alliance launches a petition calling for the western escarpment of Salisbury Plain, the landscape of the White Horse and the Wellhead Valley to be designated as an Area of Outstanding Natural Beauty (AONB). We will have a stall at the popular Trowbridge Village Pump Folk Festival – right next to the proposed route. Festival-goers will be able to sign a petition asking the local MP to support the AONB plan and Wiltshire Council to stop resisting a proposal that was first made by the National Parks Commission in 1950. We believe the whole of Salisbury Plain could have been made a national park if the War Department had not insisted on retaining it for military training after the war. We recognise that there is no prospect of wresting the Plain and the stolen village of Imber back from the Ministry of Defence. The proposal developed by our landscape consultant, Alan James, therefore sets out an extension to the Cranborne Chase and West Wilts Downs AONB, similar to the area mapped by the National Parks Commission - see map in our LCA report – link to the updated version of report already emailed. Westbury Town Council, the Area Board and several parish councils support our AONB proposal. Wiltshire Council has persistently declined to do so. Natural England has assured us that lack of backing from WC will not be held against our proposal but it has made it clear that the whole-hearted support of local authorities would be helpful. This spectacular and historic landscape is one of the county’s top tourist attractions, enjoyed by tens of thousands of visitors from all over the country each year as a place to walk, ride horses – and, from Westbury Hill close to the White Horse and the Bratton Camp Iron-age hill fort, to launch a hang glider into the updraft that sweeps up the steep slope of the escarpment. The Wellhead Valley is home to some of our rarest wildlife, including dormice and four of Europe’s most strictly protected species of bat. The ancient drove road through the valley is a bridleway that walkers and riders follow on their way to the White Horse and up to the Wessex Way and the White Horse Trail. Wiltshire residents rely on the Wellhead Springs borehole to deliver a constant supply of drinking water from the chalk aquifer beneath Salisbury Plain. It is surrounded by a ‘source protection zone’, where all development and risk of pollution must be prevented. Wiltshire County Council spent a fortune in the middle of the last decade searching for an alternative borehole. They failed. The plan they eventually submitted for approval in 2007 proposed building the road on a plastic sheet to seal in any pollution. They hoped that raised banks would stop vehicles leaving the embanked road and crashing down onto the borehole cap. The northern end of the valley supports a horse-riding stables with extensive grazing, but most of the land is used to produce food, usually cereal crops. Hedgerows are conserved as habitat for dormice. In an age supposedly focused on ‘localism’ and the rational use of natural resources, why would anyone not want to protect these valuable assets for the future? The only explanation must be Wiltshire Council’s stubborn determination to revive its discredited plan for an A350 eastern bypass around Westbury. Having squandered nearly £5m of council taxpayers’ money on their last attempt, the councillors and officers responsible are now even more determined to redeem lost reputations for fiscal prudence and show that their previous expenditure was really a sound investment in an ‘oven-ready’ road design. But this turkey of a road faces many obstacles on the way to the oven. The government’s damning verdict on the scheme in 2009 said that it wasn’t a good enough project in transport terms to justify the damage it would have done to a landscape that already had local protection. (See final inquiry report.) And now the local plan inspector has told the council to delete the eastern bypass route from its plan for the future of the county (See Inspector’s procedural letter on WC core strategy website. Clearly the council is afraid that the protective power of an AONB could finally bury its beloved zombie road. The more of us protest at this philistine determination to cling to the transport imperatives of a past era the harder it will be for Wiltshire Council to pursue its poisonous dreams for growth at any price.